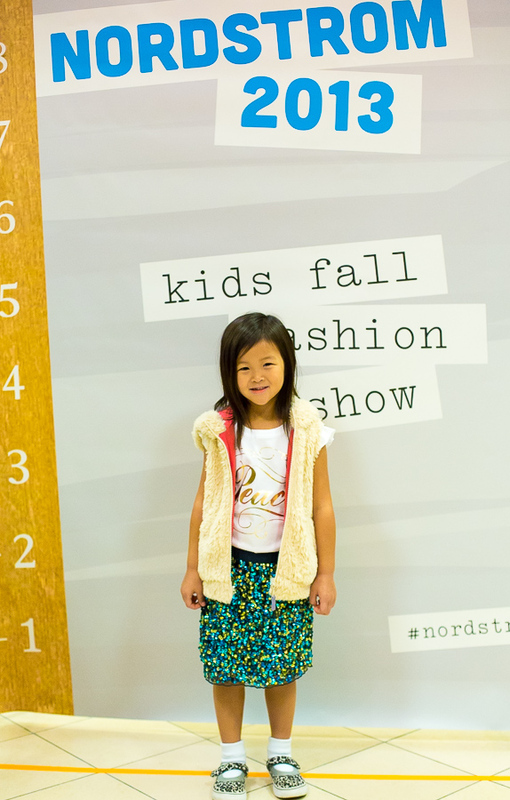 Last week while at Nordstrom the salesperson told me they were having a kids runway fashion show and that anyone could participate, how could I resist? My little Penelope, all dolled up in the latest fall fashions, strutting her stuff down the runway, how adorable! To top it off, all participants receive a 15% off coupon for the day! Unfortunately Penny was not quite as excited as me and was downright nervous at the thought of walking the runway. With a promise that I’d stay by her side the whole time, she agreed. We enjoyed apple juice, coffee and muffins afterwards and I eeked out as much shopping as possible with a restless four year old. And Penny and I both experienced our first runway show!